As a Presbyterian church our congregation is governed by office-bearers who are elected to that position by the members of the church. The Minister, Assistant Minister and the elders have responsibility for pastoring the congregation, with the majority of the teaching being done by the two ministers. There is no hierarchy with all the elders and ministers having the same authority. Alasdair is a Lewisman who worked for 2 years in the oil fabrication yard in Stornoway before joining the BBC where he was employed as a journalist for 16 years working in Inverness and Stornoway. He is married to Mairi and they have 4 of a family, Christina, Luke, Emma and Kate. Having felt called to the ministry, they moved to Edinburgh in 2009 where Alasdair studied for 3 years before becoming the minister of Tain & Fearn Free church in August 2012. 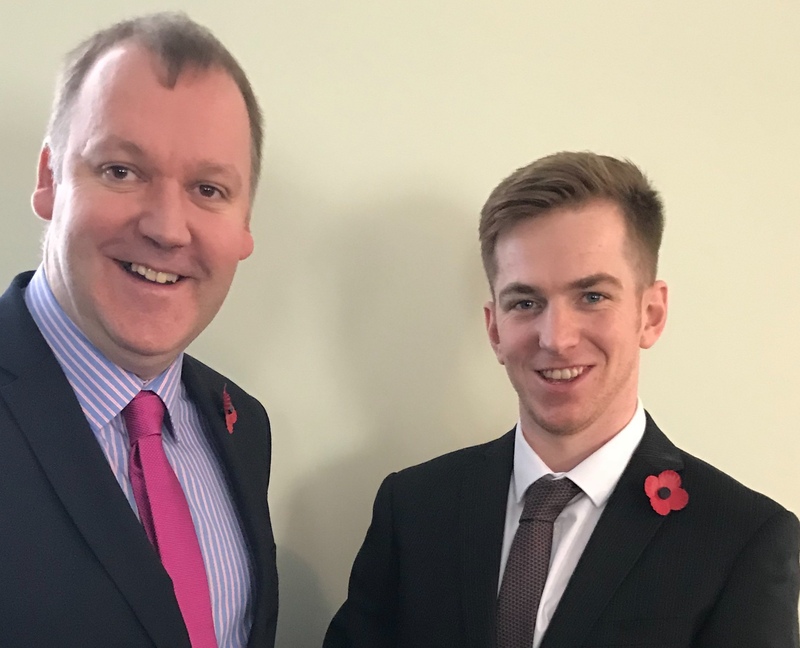 Andrew was born on the Isle of Lewis where he worked for Loganair at Stornoway airport for 2 years before the Lord led him to leave his employment and take up his studies again. He attained a BA from Highalnd Theological Studies (HTC), Between 2012-2015. He subsequently entered Edinburgh Theological Seminary (ETS) having been accepted to train as a minister of the Free Church of Scotland. Andrew was inducted and ordained in November 2017 as Assistant Minister of Tain and Fearn. David has a joinery background and until recently worked as a site manager for a national construction company. He has been married to Linda for over forty years and they have two grown up daughters. They both attended the Church of Scotland in their youth. In 1985 they moved to Hilton and started to attend the Free Church congregation. David was elected an elder in 2001. James is a retired GP who worked for 30 years in the Tain and Fearn area. He is married to Murdina; they have 3 grown up children and four grandchildren. They have been in the Tain congregation since moving to Easter Ross (James’s home patch) in 1972, and he served first as a deacon and then as an elder since 1982. James has been Session Clerk since 1985. Tom is married to Catherine and has two married daughters and two grandsons. He is a retired teacher and engineer. He came to Easter Ross, from the Central Belt, at the end of 1984 to teach in Tain Royal Academy and latterly Dornoch Academy. He has been a member in Tain Free Church since the beginning of 1985 and became an elder that year. Bill is a Community Psychiatric Nurse who works and lives in Sutherland. He is married to Donella and they have three grown up children. He has been part of the Tain congregation since 2003 and elected to the eldership in 2007. Bill is one of the precentors and Bible Class leader. Sadly John passed away on Wednesday14th March 2019. John was brought up in the Seaboard villages and is a retired television engineer. He is married to Rae and they have two daughters and a granddaughter. He has been in the Tain congregation for 30 years and having previously served as a Deacon was elected to the eldership in 2007. Duncan was brought up in Inverness and is married to Ina. They have a married daughter living in Glasgow. They also have two sons and a grandson. Duncan has been in business in Dornoch since 1991. He has been connected to the congregation since 2003 and was elected an elder in 2007. William was brought up in Hilton and worked as a salmon fisher. He trained for the ministry of the Free Church and was licensed to preach in 2010. He ministers to several small rural congregations. He is married to Mary and they have one daughter. He was elected an elder in 2014. John is a retired social worker, born and brought up in the Seaboard Villages. He is married to Doreen and has four grown-up children and seven grandchildren. John was elected an elder in 2014. Deacons are also elected by the members of the church and have responsibility for ensuring the best use of the material assets of the congregation to further the cause of Christ. Ruairidh was born and brought up in Tain. He grew up on the farm at Heathmount where he currently farms suckler cows and breeding sheep. Ruairidh and his late mother both came into membership at the same time in May2001. He was made a deacon in 2014. Ruairidh is pictured left with his daughters Kirsty and Mairi and his grandsons, Kenny and Jack.